The town of Surry participated in the Touring Through Time weekend on July 28 and 29 for the first time, with displays at both the Old Surry Village Schoolhouse and Old Town Hall. The schoolhouse display featured photos, school books and a tour of the restoration progress to date. 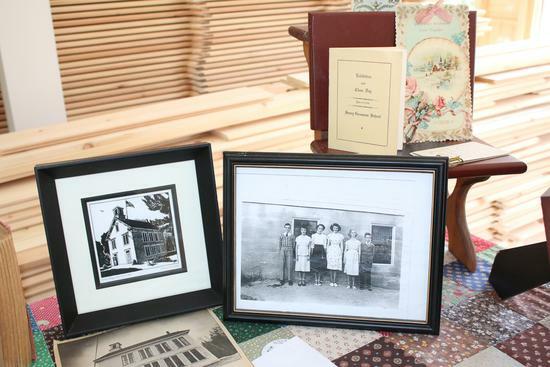 At Old Town Hall, a collection of historic farming, fishing and lumbering tools and artifacts were cataloged and on view, while a slide show displayed the town’s historic public buildings, churches and notable homes. 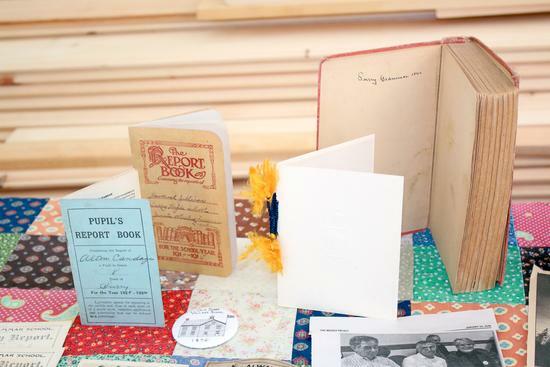 Report books from Surry school days of the 1910s and 1920s on display at the Old Surry Village Schoolhouse for Touring Through Time on July 28. 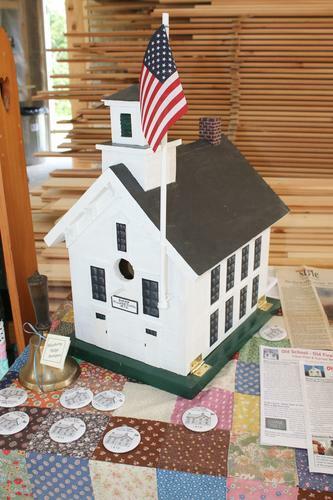 A handcrafted replica of the schoolhouse in Surry on display at the Old Surry Village Schoolhouse as part of Touring Through Time on July 28. Photos of past students on display at the Old Surry Village Schoolhouse as part of Touring Through Time on July 28. 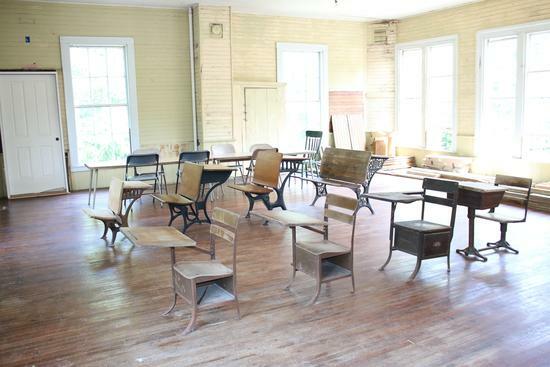 The upstairs of the Old Surry Village Schoolhouse is designed as an old classroom, complete with desks original to the schoolhouse.